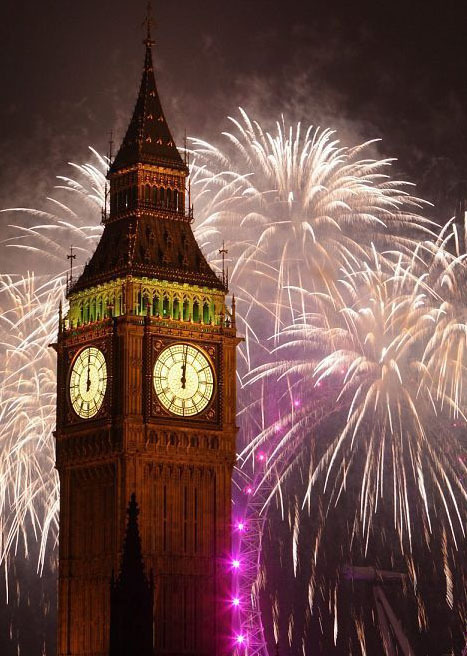 Where are the best places to see in the New Year? For 24 hours every December 31st there is an international party as everyone around the globe will ring in the new and see out the old. Worldwide you will find scenes of joy as happy throngs of cheerful people, sing, dance and toast in the New Year, whilst all around fireworks and live music fill the air. With such a great variety of destinations to choose from, where are the most popular and spectacular places to mix with the crowds and see in the New Year in style? 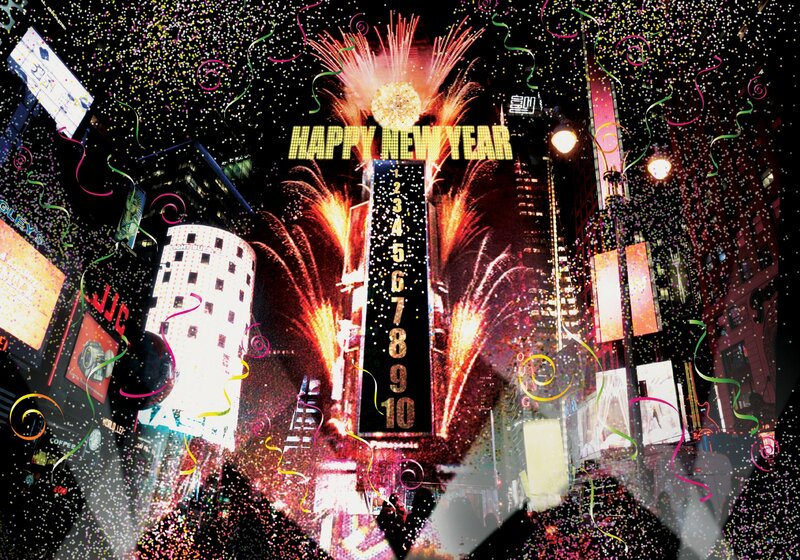 New York with all its usual razzamatazz and glitz definitely delivers on New Years Eve. Times Square forms the centre where an estimated million people gather to watch the famous New Year ball drop down the flagpole of One Times Square. This is a sight, to which Americans have greeted in the New Year since 1906 and has become a carefully orchestrated operation. The crowd stretches all the way up to Central Park and the streets are decorated with lights and seasonal displays. As soon as the ball falls the whole city erupts and a magnificent firework show starts on top of One Times Square. Australia is one of the first major centres to see in the New Year and their exuberant celebrations are a familiar scene on television broadcasts. Sydney also benefits from being in the southern hemisphere so they are celebrating in the middle of summer. There are midnight swims in the sea and beach parties, the most famous being on Bondi Beach. 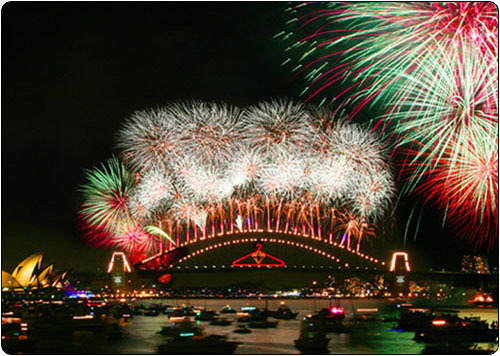 There are concerts and live music throughout the city and always a breathtaking firework display on the Sydney Harbour Bridge. The vast natural caldron of the harbour provides the prefect setting for the display and annually over 300,000 tourists visit solely for the festivities. 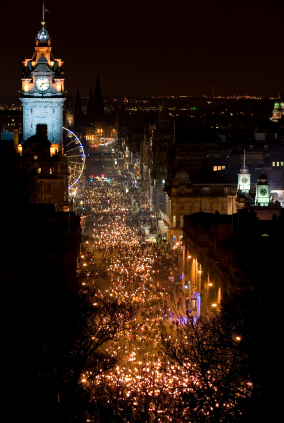 While many New Years celebrations are a modern phenomenon the Hogmanay Festival in Scotland is centuries old. The most thrilling Hogmanay to be had is in Edinburgh and here they cordon off the city centre for the revelries. There is a torch lit procession on the 30th December, which goes from Parliament Square up to Carlton Hill creating a river of fire along the Royal Mile. On the 31st the air is filled with music, traditional dancing and entertainment, culminating in the firing of the cannon at Edinburgh Castle and a massive fireworks show. If you wish to try a novel approach to seeing in the New Year, you could always visit the first or last places to celebrate. The first place on the planet to see the arrival of next year is with the 5,000 inhabitants on Christmas Island, a natural wonderland populated with rare and exotic creatures. It is famous for its unique red crab migration, turtles and colourful birds and provides a peaceful start to the year. Should you wish to be one of the last people to see the dawning of the New Year you should head for Western Samoa, it is literally the last place on earth you can celebrate and renowned for its friendly party atmosphere. This entry was posted in Festivals, Holiday, Top Tips and tagged Celebrations, Edinburgh, London, New Years Eve, New York, Seasonal, Sydney. Bookmark the permalink.